Goodreads: Following a once-in-a-lifetime invitation, a group of old college friends leap at the chance to bring their husbands for a week’s vacation at a private villa in Jamaica to celebrate a former classmates' thirty-fifth birthday. Kritters Thoughts: A group of friends from college are invited on all expense paid trip to Jamaica to celebrate a birthday, although some of the friends haven’t stayed in touch, so the trip is a little out of the blue. Each of them are escaping issues at home to the paradise of Jamaica, except sometimes your problems can come with you on vacation. 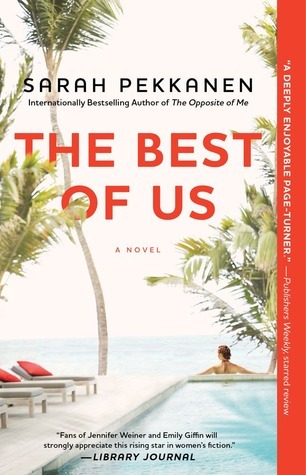 Another Sarah Pekkanen book that had me up late at night reading and wanting a sequel to continue the stories of each of the characters. Pekkanen's characters are full, deep and utterly human which I absolutely adore because sometimes I just want to read about people in a true situation.